Chris Chen is a licensed acupuncturist in New York City. Chris earned his Acupuncture degree from Tristate College of Acupuncture in 2009. He has spent the last decade studying with Grandmaster Sung Baek, 75th Grandmaster of the Dong Han (Eastern Scholars) healing clan, a Korean Taoist tradition stretching back over 2500 years. Chris is advancing the application of alternative medicines within the homeopathic and allopathic realms through acupuncture, qi gong, advanced pulse diagnosis, and anatomy. As a dedicated student to the ancient practice of pulse diagnosis, Chris is advancing the application of acupuncture to treat illness at every level of experience; physical, mental and emotional. When you change your perception and step away from “the way things are supposed to be,” you start to understand that they already and always are. And when you take that line of thought and apply it to our bodies and treating disease… well, things can get pretty crazy from our limited view of the world. In this episode, I sit down with Chris Chen, a licensed acupuncturist who has spent the last decade studying with Grandmaster Sung Baek, 75th Grandmaster of the Dong Han healing clan, a Korean Taoist tradition stretching back over 2,500 years. How were these ancient technologies (or, in some cases, truths) originally discovered? How is food a form of data? How can you surrender to reality and still contribute in a meaningful and positive way? What the hell is Qi Gong and what does it do to you? What’s up with pulse reading? Sustaining the kinetic energy machine of your body is actually pretty easy when you get down to it – we just over complicate everything with our own thoughts and feelings. FOUR SIGMATIC. Melt away stress, boost immunity, relax & sleep deeper, improve productivity, increase brain power, get stimulation without jitters. Sound like all the good stuff you want? 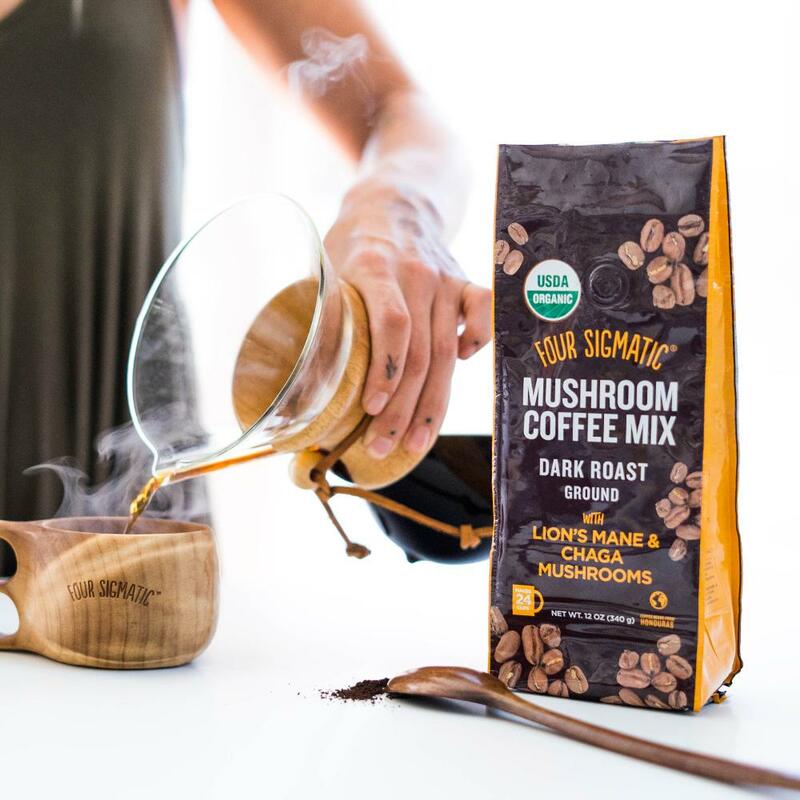 Welcome to the medicinal fungi kingdom with Four Sigmatic's highest quality mushroom & herbs in little packets of magical power that you can add to your coffee or warm drink. Now featuring a slew of brand new super chronic, super food & herbal blends! Check out the the green coffee bean extract, the brain stack, the sleep stack, the matcha tea with Lion’s Mane, and the new coffee + mushroom infused mixes! Use coupon "thelifestylist" for 15% off. ORGANIFI. This product has changed the green juice game for me. A green powdered superfood that comes in portable packets perfect for travel, keeping in your car or bag. On-demand instant green juice that is alkalizing, energizing and gives you mental clarity. What else is so special about it? Zero glycemic index & comes with all 11 most important superfoods: turmeric, chlorella, wheatgrass, spirulina, mint, moringa, ashwagandha, lemon, beets, coconut, matcha green tea. Awesome stuff! Save 20%, use discount code "LIFESTYLIST". LONGEVITY POWER. Some of the most potent superfoods and herbal extracts in the planet. I've been using their products for over 10 years now. No filler, additives, preservatives, GMOs, solvents, dairy, gluten, and tested for mold, metals and pollutants. Super legit. My favorites: Maca Bliss, Epic Reishi & Goji Joy. Discount code: thelifestylist for 5% off.